We've made lots of parts over the years but this is one of the coolest things I think we've designed. 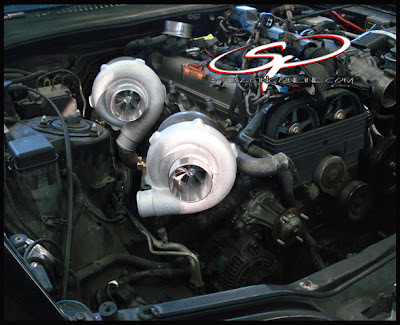 We have this setup with twin SP58mm turbo's so it's capable of over 1000rwhp and we anticipate to have that power accessible under 5krpms No more lag for anyone looking to also make 1000rwhp on a supra. 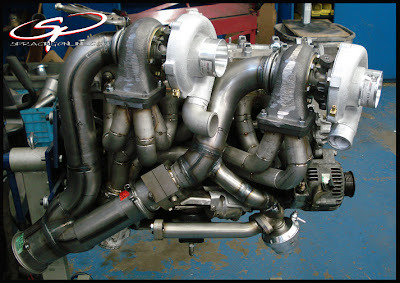 No more having to use a GT47 for big power and sacrificing low end power. We will use the factory VSV switched so it will plug right into the factory harness, however we'll use an EMS like (AEM or ProEFI) to control the switches.